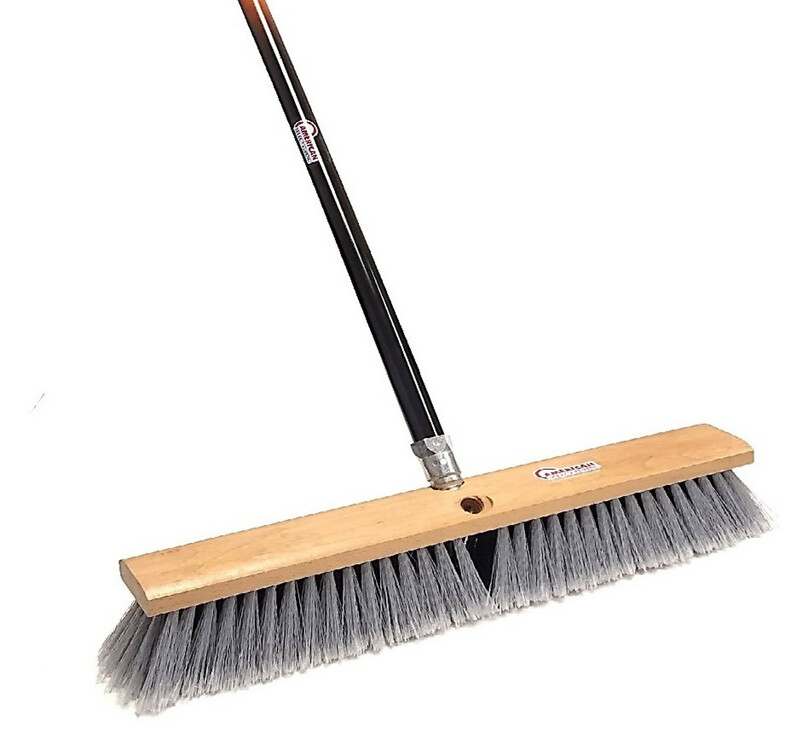 American Select Tubing's industrial push brooms feature a solid wooden block with synthetic bristles and a 60" two color powder coated full hard steel handle with a zinc die cast thread. These high-quality industrial push brooms are used for all kinds of applications and are available for both small and large orders. Our push brooms come in a variety of selections that accommodate the different surfaces you may encounter. We offer these push brooms for sale online so that we can get the exact quantity to you as efficiently as possible. Place your order today, or contact the team at American Select Tubing for additional product information.